This evening I was able to tag along to watch Nate McKelvie, environmental educator at the Milton Hershey School, band four juvenile Barn Owls from one of the Hershey Trust’s old barns on the north side of Hershey. This is one of two known nesting sites in the area this year. 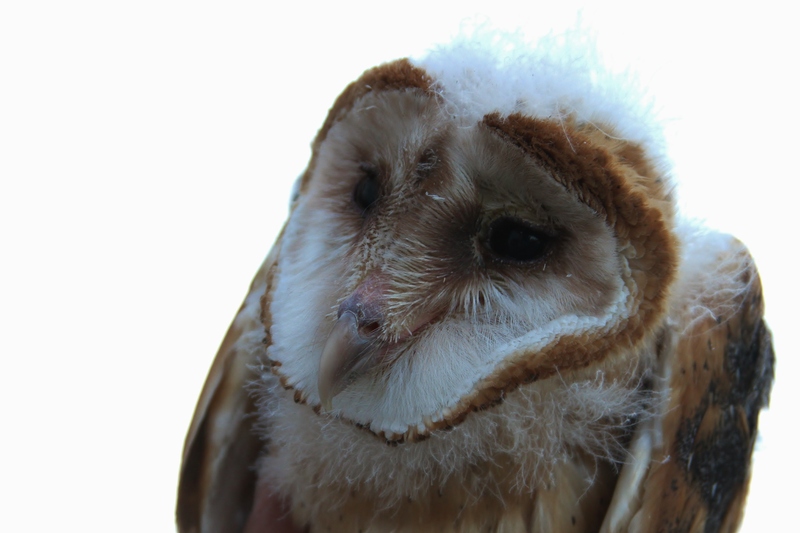 The four juveniles were between 41 and 50 days old, ranging from super-fluffy to actually starting to look like a little Barn Owl – although all were rather scary looking; not your typical ‘cute’ baby bird. 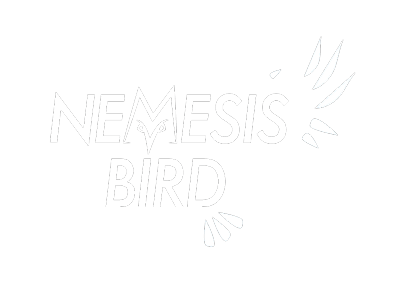 The young owls can be aged by measuring the length of the 7th primary feather’s shaft (that white, straw-like base to the wing feathers shown in some of the photos below). 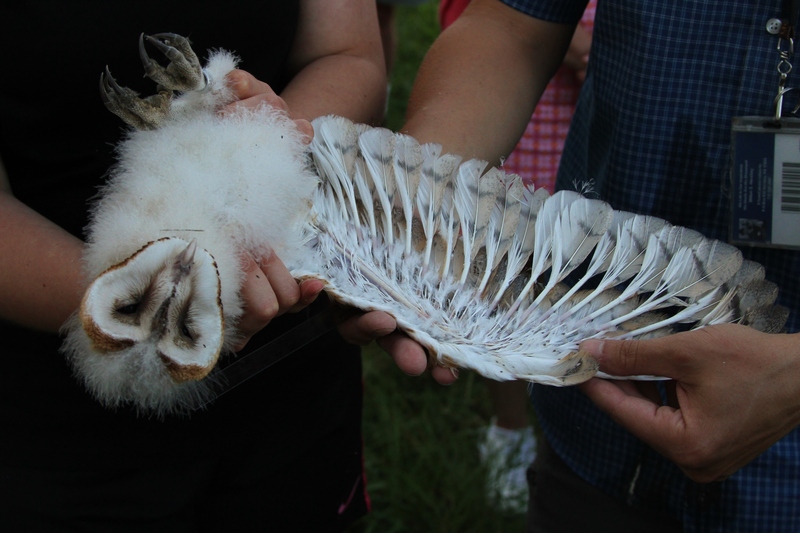 The owls are banded so that they can later be identified if they are recaptured at some other point in their lives either during the breeding season, or during migration, or if they are found dead. Nate mentioned that one banded PA Barn Owl was recovered in the Bahamas! 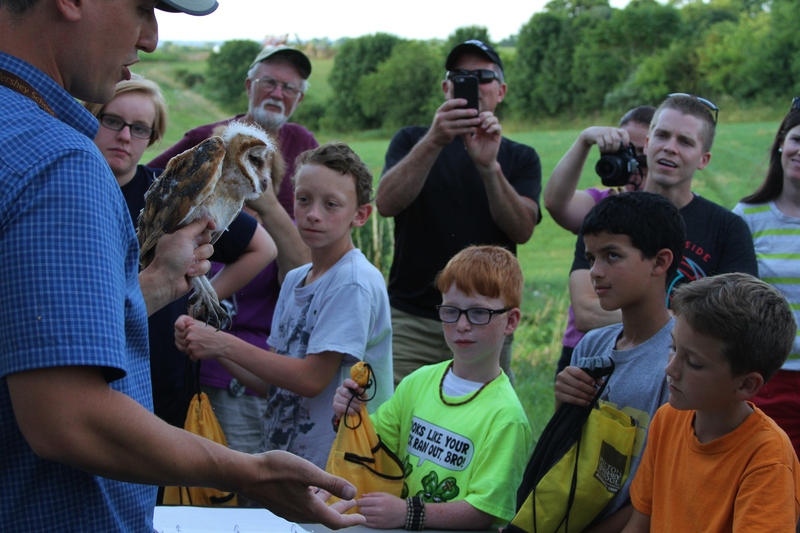 Barn Owls are rare breeders in Pennsylvania, and are mostly found in the southeastern portion of the state, where vast areas of farmland and grassland are able to sustain small populations. The Hershey area is lucky to have a bit of remnant grassland and loads of farmland plus many old barns, which is the perfect combination for breeding Barn Owls, and every summer there are a handful of nests in the region. 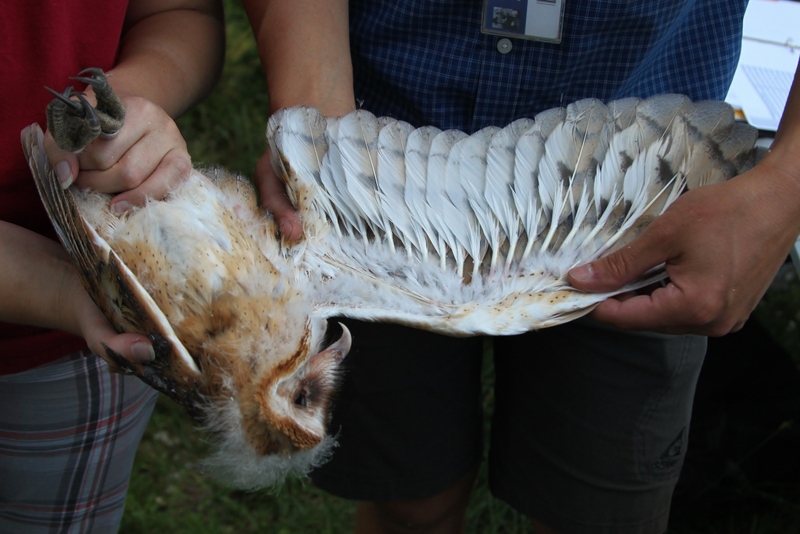 If you know of Barn Owls nesting or roosting on your property or on a farmer’s land near you, please contact the PA Game Commission. 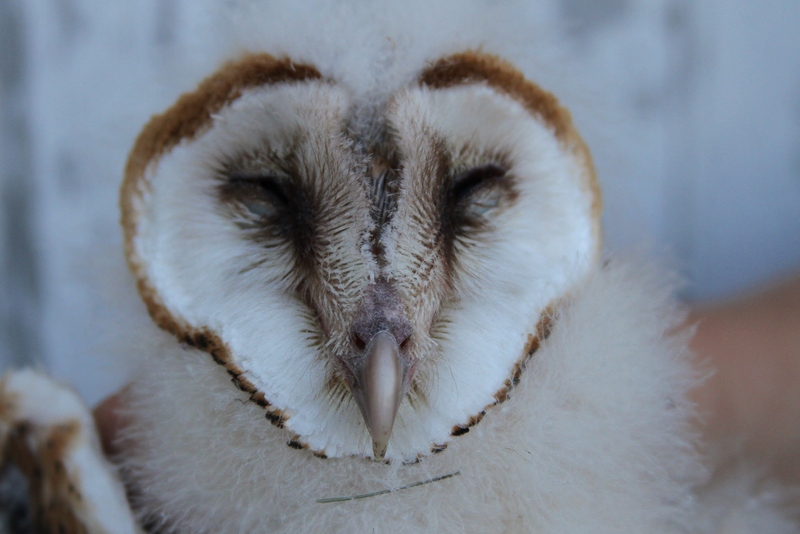 For more information about the PA Game Commission’s Barn Owl Conservation Initiative, and for contact information for the Wildlife Diversity Biologists who carry out this program and who can answer questions related to Barn Owls and their conservation, see this link. Lots of great information on the owls in PA can also be found at this link.